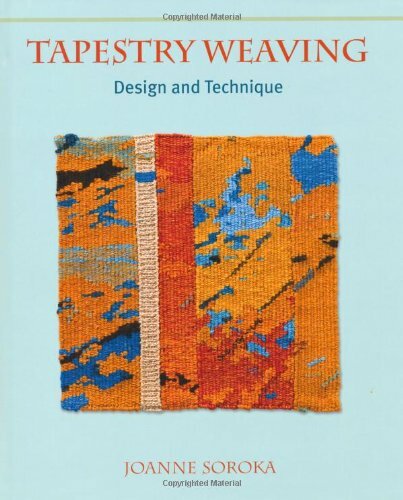 I was struggling to find the recommended books for Assignment 4 on the State library loan list so I took pot luck and ordered Tapestry Weaving: Design and Technique by Joanne Soroka. I was glad I did as I found it to be an excellent and interesting book and would recommend it to be added to the reading list! The book starts with chapters explaining the basics of What is Tapestry? and The Origins and History of Tapestry Weaving. These were useful introductions to explain the fundamental features of Tapestry weaving and the common misunderstandings around the word “tapestry”. I was quite intrigued to find out that originally most tapestries were worked on their sides (due to the width being too large for a loom) and from the wrong side – quite a challenge for the weaver. Further chapters discuss simple tapestry weaving, equipment and materials and more advanced techniques including Soumak and different ways of adding knots to create surface texture. 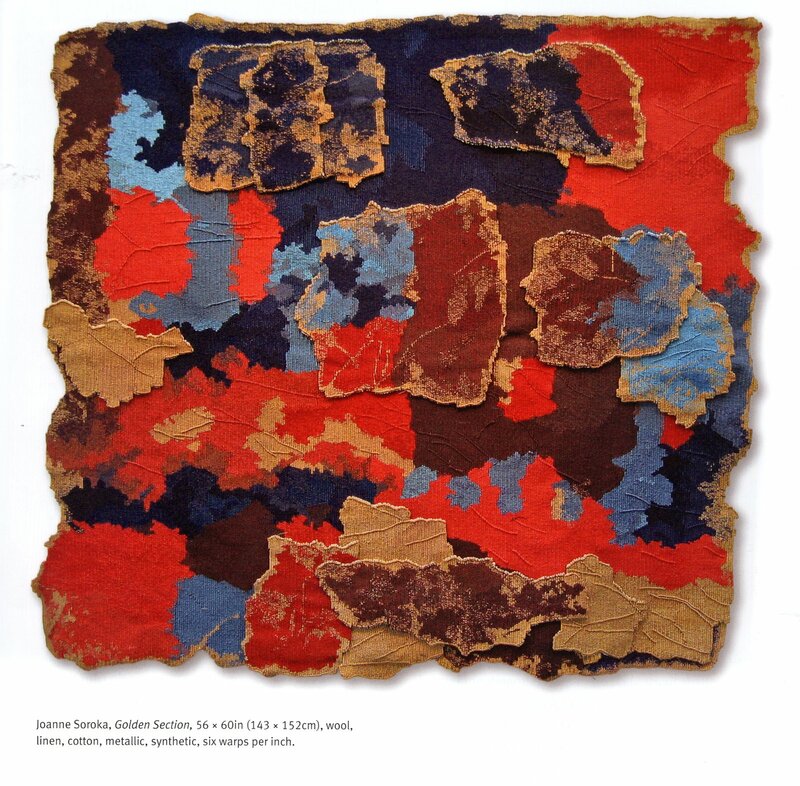 I was particularly interested in the sections that explain adding extra wefts and warps to form a second layer of threads or tapestry and how these can be used to expand the range of surface structures. The book covers ideas for display and hanging, and how to care for tapestries. 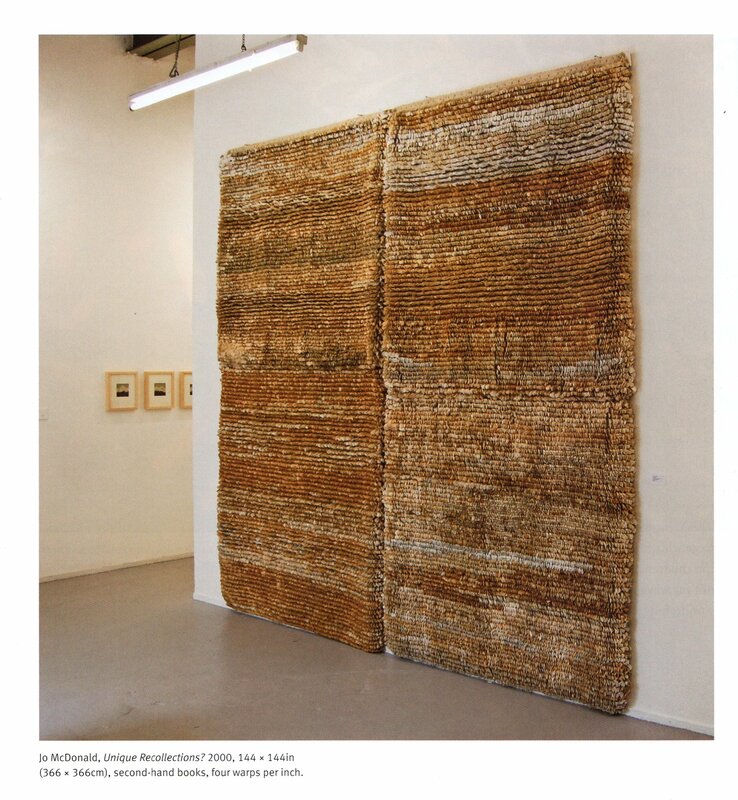 It also has small sections featuring contemporary weavers. 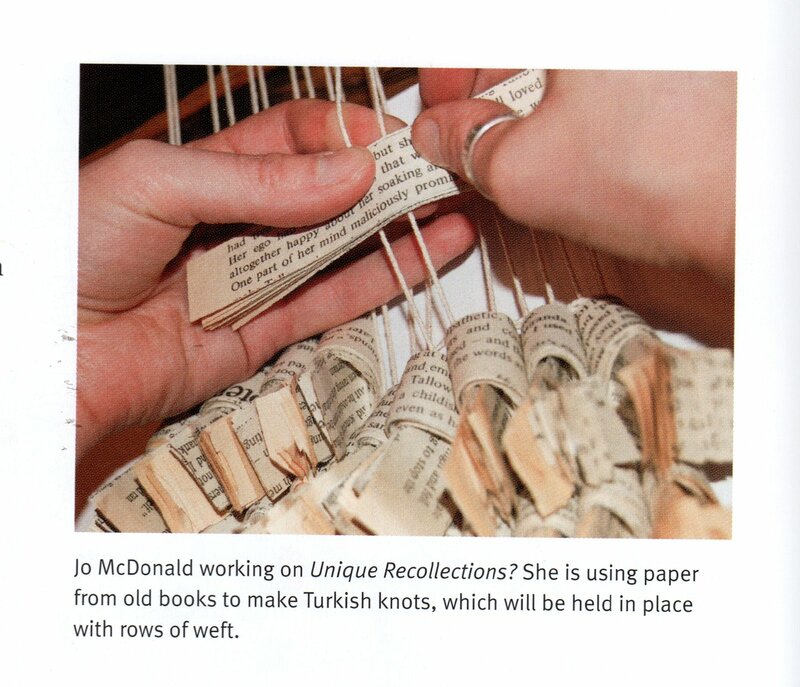 I liked the feature piece on Jo McDonald who has produced large scale works using second-hand books. The scan below shows work in progress of book pages being knotted around the warp and the photo underneath is the finished work Unique Reflections? My idea to develop this would be to mix up the weaving techniques, with some picks of plain weave, maybe some Soumak and other variations to build up a landscape from the old books. So the books are telling the story of the land. This could work in colour, with magazine pages used to form the colours of the landscape. The other example that appeals to me from the book is the following piece called Golden Section which was made by the author. The aspects of this that I like are the use of strong, bold colours and the use of layers that build up colour and texture.